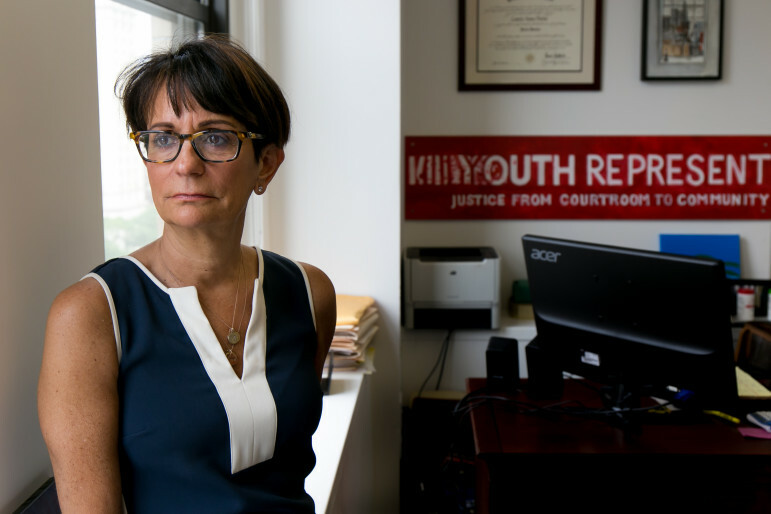 Laurie Parise, executive director and founder of Youth Represent, says she has seen NYCHA ban people from its developments for minor offenses. Early in the morning of December 3, 2013, Barbara Smith’s son Davon finished a double shift. He had plans to go Christmas shopping with his mother the next day. It was late when he got off work—around 4 a.m., and he was tired, so he crashed at his mother’s apartment in New York City Housing Authority’s Baruch Houses. Little did he realize the nap could lead to his parents’ eviction from their home. The previous November, Davon had been “permanently excluded” from the Housing Authority (NYCHA), whose regulations stipulate that the arrest of any individual living in housing or giving the police a NYCHA address can result in the termination of the tenancy. Davon was arrested, and pled guilty to criminal sale of marijuana. He was sentenced to two days of community service. And even though Davon has not been on his father’s NYCHA lease since he was 16 years old, the arrest, and another for smuggling contraband into a prison, prompted NYCHA to start eviction proceedings against Smith and Davon’s father, David Venable. Hoping to head it off, Smith went down to 250 Broadway and met with one of NYCHA’s lawyers; not knowing that she was eligible for legal representation, Smith went without counsel. She was told that she could keep her apartment on one condition: She would have to agree to prevent Davon from stepping foot inside it, a stipulation known as “permanent exclusion.” As part of the stipulation, investigators would visit her home on a regular basis in order to verify that Davon wasn’t living there. And then, things got worse. On December 3, with his exhausted son asleep in the apartment, Venable heard a knock on the door and thought it was a food delivery. He opened the door to find himself facing investigators from NYCHA. Davon Venable was found in the apartment, “after the residents mislead [sic] inspectors to his identity,” according to a statement from NYCHA. A few days after Christmas, Smith got another letter from NYCHA. She had violated the terms of the stipulation she had signed, which excluded Davon from the apartment. And now, “They want to evict us,” Smith tells City Limits. But NYCHA sees it differently. “Between 2014 and 2015, Davon Venable was arrested for multiple charges including felony possession, criminal mischief, assault, and failure to appear in court and used the NYCHA address as his home address,” reads a statement from NYCHA. The permanent exclusion case is pending and scheduled to go next month before a hearing officer, who will decide if Smith and Venable stay or go. In 1996, at the behest of President Clinton, the federal Department of Housing and Urban Development (HUD) sought the eviction of drug dealers and other criminals from public housing in what came to be known as “One Strike and You’re Out.” Housing authorities across the country were encouraged to develop their own criteria for exclusion. NYCHA’s iteration of the regulations mean that the Authority can terminate the tenancy of any resident who has engaged in criminal or drug-related activity on or even near the development where they reside. NYCHA’s guidelines stipulate that a mere arrest—even one that doesn’t result in a conviction—is enough to trigger eviction or permanent exclusion—a process which frequently begins before criminal proceedings conclude. In 2002, the Supreme Court ruled that a tenant may be evicted if a family member or a guest uses drugs—even if the tenant had no knowledge of the drug usage. A total of 4,698 individuals were permanently excluded from NYCHA for criminal activity between 2007 and 2014. Residents of public housing who have been through this process frequently complain about the pain of evicting or “putting out” loved ones, the violation of having investigators walk through their homes and the humiliation of having their business known. NYCHA used to publicize a “NYCHA Not Wanted List.” and even though the list is no longer public knowledge, the investigators’ visits are not discrete. Explaining to visitors why investigators are walking through the apartment was an experience public housing residents who had been through permanent exclusion recounted with shame. 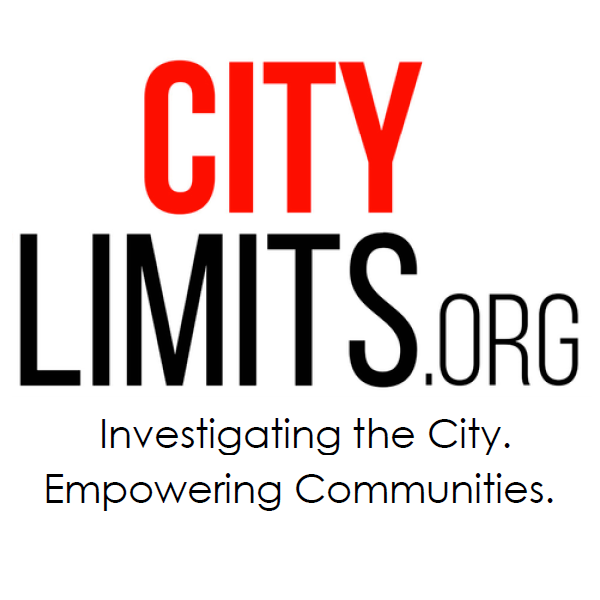 Like Barbara Smith, other affected residents who spoke to City Limits all claimed that real drug dealers and violent criminals live undisturbed in different apartments throughout their complexes, and feel bitterly the unfairness of having to evict a minor offender, or having to put up with searches for individuals who have new addresses. And like Smith, many individuals signing the exclusion stipulations later say they didn’t know what exactly they were signing. Most don’t have representation. Some don’t speak English. Most don’t realize that the investigators will continue their visits indefinitely, according to advocates. Taisha Taylor was a 22-year-old single mother of two in 2003 when she got a letter stating that she was in danger of losing her home. Her uncle, a drug addict who did not live with her, had given her address to the police, and NYCHA had initiated the eviction process “following four arrests for the sale of controlled substances which occurred on NYCHA property,” NYCHA wrote in a statement. When Taylor went to meet NYCHA’s lawyers, they told her to plead no contest, Taylor says. In order to keep her apartment, NYCHA told Taylor to sign a stipulation whereby she would be on probation for two years, and investigators would come to the apartment and make sure her uncle wasn’t living there. “They didn’t offer me a lawyer and they didn’t explain everything,” Taylor says. She signed the stipulation, and from that day on, she says, she has been visited every three months by investigators from NYCHA. Later, in 2006, her brother—who did not live in the apartment, either—also used her address when he was arrested, and a second stipulation was added to the first. For a while, the inspection visits were suspended because both offenders were incarcerated. But visits resumed after her uncle was released from incarceration. “I feel like it’s a violation on my rights,” Taylor says. “Not only is it scary because I am a woman here alone with my children. For them to come here, and enter it, and touch everything … I just don’t want people to touch my things. I can’t go into their home and do it. Why should I be subjected to it? I feel like it’s a violation of my privacy. I pay rent, I should be respected, whether it’s low-income or not.” According to NYCHA’s records, in April 2014, Ms. Taylor refused to let an inspector enter her apartment and a violation was issued, which is the subject of an ongoing administrative case. NOBODY COVERS NYCHA like City Limits. 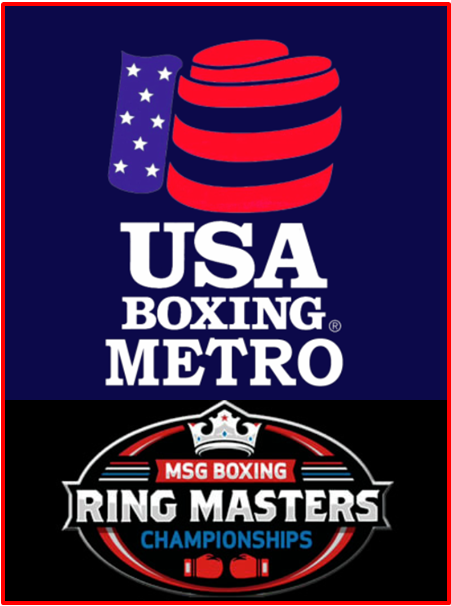 Click here to get our free weekly email newsletter. No doubt, there are people who threaten the safety of public housing residents. NextGeneration NYCHA, the Housing Authority’s roadmap for the next ten years that was released in May, assembled data from the July 2013 US Census, the NYC population estimate, and the NYPD, and concluded that while only five percent of New Yorkers live in public housing, nine percent of New York City’s violent crime occurs in public housing. But this higher crime rate might be caused at least partially by the way NYCHA is policed. For many years individuals on public housing property were stopped and questioned absent any indicia of wrongdoing. This means they were subject to a level of policing that has been deemed unconstitutional in the rest of the city—and therefore uniquely at risk for arrest. Lawyers tell stories of clients who were arrested for trespassing when they went to pick up a pizza, or to take out the garbage. There are other great stories like this out there. Help us get them! What’s more, Zimmerman contends, allowing a mere arrest to trigger the process that results in permanent exclusion goes against everything our legal system is built on. In a criminal trial, the judge instructs the jurors that an arrest should be no indication that a crime has been committed. Yet, in the case of permanent exclusion, an accusation is enough to be “convicted” as it were—one strike and you’re out. Parise says NYCHA has gotten better with time. “There’s more awareness about excluding young people,” she says. A spokesperson for NYCHA confirms Parise’s experience. While minors may be permanently excluded, “NYCHA pursues that route only as a last resort, and only if the minor is charged as an adult or committed particularly egregious acts, usually involving gangs and violent crimes. NYCHA works with minors, their families, and the district attorney’s office to provide supportive programs or seek alternative remedies such as probation.” In the past year, no one under the age of 16 has been excluded by NYCHA. Police Officer David Collado is the community affairs officer at PSA 6 in Harlem, one of the NYPD’s Housing Bureaus dedicated to serving NYCHA. He explained that when a person is arrested and gives public housing as their address, it’s the NYPD who makes the initial decision on whether to inform NYCHA. “If it’s something where we deem it necessary and we want to take further actions to have them removed from NYCHA grounds, we’ll open a case for legal action,” Collado says. This involves putting together a report informing NYCHA of the crimes committed and the NYPD’s wish to open up a case. “We basically put in a request, but everything falls down on NYCHA. NYCHA handles all the decision-making, and the follow up. We become a support system for them. Anything we can provide them from our end, we’ll do that, and we keep a very amicable relationship with them.” But NYCHA sometimes decides on their own to open proceedings, and asks the NYPD to supply a complaint number. “We don’t always, depending on the nature of the crime,” Collado says. 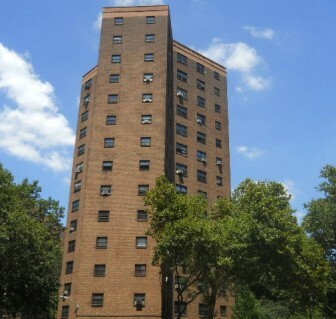 NYCHA says it has been working to improve the policy to further benefit resident families. For example, the authority removed marijuana possession from the offense list in 2014. “Over the past several years, NYCHA has been reviewing all permanent exclusion cases to assess whether individuals deserve to have their exclusion removed,” NYCHA wrote. If they have demonstrated rehabilitation by, for example, going to college, seeking drug-abuse rehabilitation, or steady employment, the tenant of record may apply to have the former household member’s exclusion lifted. “In 2014, we reached out to more than a hundred tenants and removed 85 permanent exclusions,” NYCHA wrote. But change may be on the horizon, if CCOP head Reggie Bowman has anything to do with it. 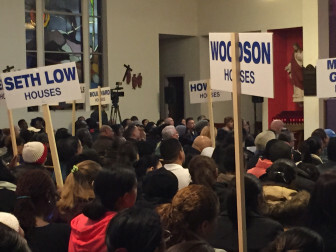 “The Housing Authority needs to change its policy, and we are definitely going to pursue this policy change when we are in the appropriate meetings and forums with the executives and policy makers of public housing,” he told City Limits. whats the problem? i want full body scanners at all public housing projects…dont want to be scanned for drugs and guns…move and pay your own rent. Wow that’s what you call freedom, How about the government put scanners in front of your home and let them look threw your bathroom window while you take a dump, I bet you will love that. steven stop being a racist…..we know where the crime is located, and dont poor people deserve to be safe inside their homes too. Its not racist if its TRUE! you need to get on the ball and more modern in your thinking stop being an old fogey…ok? how about this …you plead guilty and avoid taxpayers spending money on a trial, and your momma can stay in public housing…….fair enough? I wonder if your readers below feel the same way about the numerous developers getting tax breaks to build luxury condos. Is that not a form of social welfare? THIS PROBLEM EXISTS IN PUBLIC HOUSING DEVELOPMENTS ALL OVER THE UNITED STATES;POOR AND LOW INCOME RESIDENTS ARE UNFAIRLY STIGMITIZED BY THESE POLICIES. So you are telling me that you are okay with people that DON’T commit crimes in these areas, for example, drug posession or sale (due to substance abuse problems, not for “profit”) and getting banned from public housing, but when they finish their sentence and/or parole, get help with substance abuse, and become productive, they STILL can’t come back to visit family and friends, and STILL have their families harassed by being searched and having people come in and looking in their closets and under the bed for people that haven’t been there for YEARS??? Really now. the government in order to take control of the American people. stop supporting BLACK CRIMINAL LIVES MATTER he was a little thugboy and momma knew the rules.. When my father became a father he wasn’t in the basketball courts smoking weed. No man would do that. For months tenant advocates have waited and wondered what Gov. Cuomo’s position on rent regulations would be. Now they’ve gone from wondering where the governor stands to fretting about whether he can deliver. The housing-policy perfect storm that was visible on the radar months ago has arrived right on time: 10 days from the deadline for the state to renew rent regulations and the 421-a tax abatement program, there’s no hint of an agreement. Here’s a pocket guide to what’s at stake and where the players stand. Depending on whom you ask, the 421-a tax exemption is an inexcusable boondoggle, an indispensable economic engine or a flawed but useful tool that can be salvaged. Let’s start simply: Who’s getting it?